Enter your email address to follow NERDSTEAK and receive notifications of new posts by email. Sous Vide Curd Burger Weekend! NERDSTEAK is looking to review YOUR product! This weekend, my pal Chef Haberer was able to make some sous vide cheese curd stuffed burgers, and for the first time around, they were fantastic. He used 100% ground beef short rib, then blended in cheese curds into the mix. He lightly seasoned them, then sous vide for about 2 hours at 134°F. After the pouch, he seared them in a cast iron pan on an induction burner reaching about 520°F with a shallow pool of avocado oil. The photo makes the insides LOOK very rare, but due to this process, it was actually a perfect medium/medium rare all the way throughout. That is the beauty of sous vide. 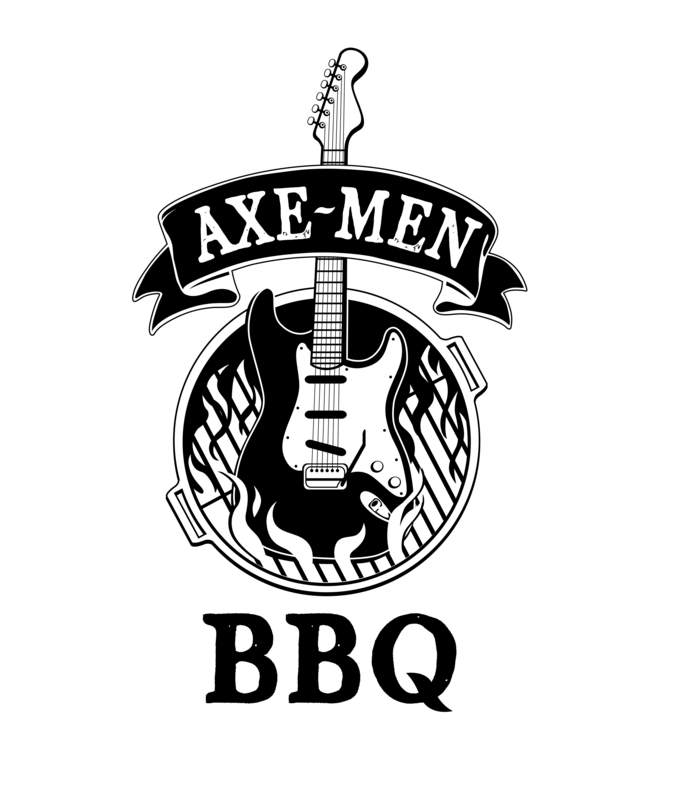 The Axe-Men BBQ team out of West Dundee, Illinois is looking for supporters and sponsors for this years BBQ season. 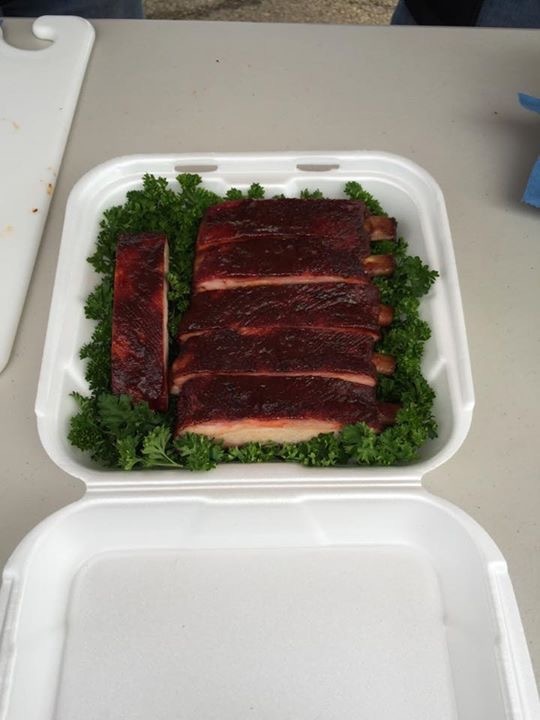 We are a new team that competed in our first KCBS event in October of 2014, and still ended up with a 9th place call for ribs, and 10th place call for chicken, even with minimal equipment. Our team is planning to compete in at least 6 events next season, and our goal is to participate in high profile events like the American Royal Barbeque Competition in Kansas City, as well as the Jack Daniel’s Championship in Lynchburg. Many of the regional events we participate in will be in the Midwest. We are fully invested in competing on the KCBS circuit and making Axe-Men BBQ a grand-champion team. We also would eventually like to sell our sauces, rubs, and marinades to the general public. As you might be aware, these BBQ competitions take a lot of time, effort, and money to complete. We are interested in everything from grills, smokers, trailers, campers, and meat…down to cleaning supplies, tables, chairs, coolers, wood, charcoal, beverages, knives, utensils, promotion materials, entry fees, and cash donations. In return, we want to go above and beyond to help promote any sponsors who help us along the way. We would add your company/personal name and/or logo to banners, clothing, or any other allowable items. We can hand out sell sheets, contact info, or samples of anything you wish to visitors of the events. We would add you to our email list so you can keep track of our competitions, as well as visit us at any time to sample some of our award winning BBQ. Also, we would be more than happy to have a representative from your company on site to discuss your products with the public or other teams. If you have any other requests on what you would like from us in return for sponsorship, we are more than happy to discuss. The team also has a large network on social media including personal pages, blogs, and professional contacts. Please let us know if you have any questions or need any additional information. Below are a few links to see how exciting some of the events and opportunities we will be participating in. Thank you very much for your time, and we look forward to hearing from you soon! Here is a tasty recipe using Peruvian Lima Beans. They are quite a large bean that ends up having a very creamy consistency when cooks, so be gentle when mixing. I soaked them overnight, then boiled them for about 1-1/2 hours for this recipe. Watch them close when boiling because they can go from cooked to a mushy mess in a few minutes. Fry bacon on medium heat in a large skillet until crispy, then remove to drain on a paper towel, leaving excess rendered fat in the pan. Add onion and cook until translucent, about 4 minutes. Add garlic, chile flake, salt and pepper and sauté just until aromatic, about 1 minute. 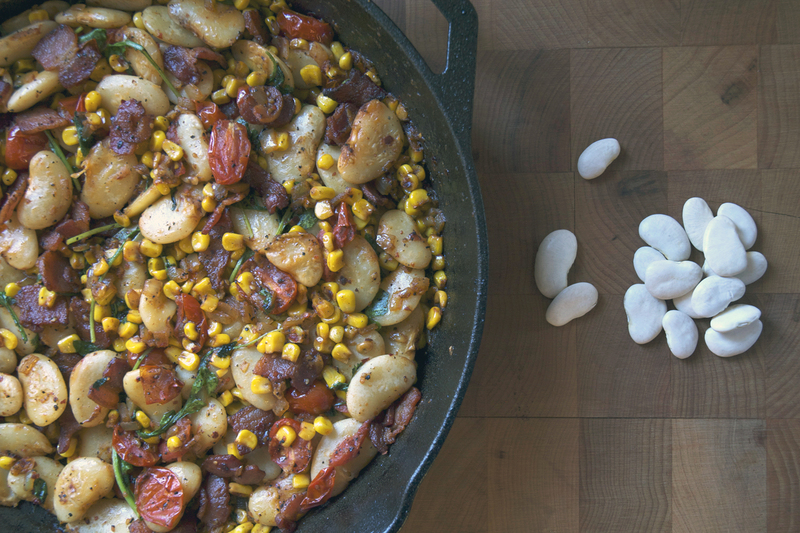 Add cooked Peruvian Lima Beans, tomatoes and corn to pan, and cook just until tomatoes are tender, about 4 minutes. Finish by adding sherry vinegar, then turn off heat, fold in cilantro and arugula and let sit for 10 minutes before serving. Here is a very easy recipe using D’allesandro Cajun Dirty Rice Blend. You can also add more filling before you roll the loin, just make sure it is tightly tied with twine. 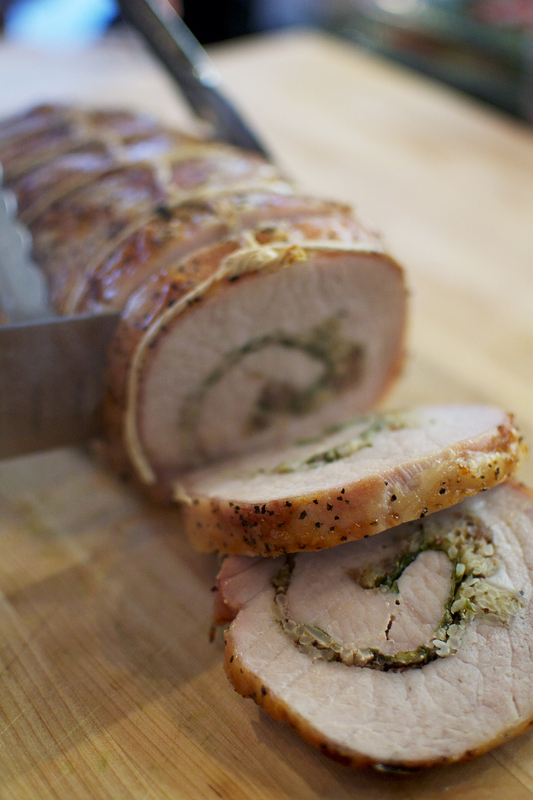 Prep pork loin by slicing across it lengthwise, stopping 3/4 inch from the other side. Open halves, laying pork flat. Starting from the center, slice each half lengthwise, again stopping 3/4 inch from the other side. Again, open so pork is flat. You will have made one large, flat piece of pork 3/4 inch thick. Make sure to keep it in one piece. Evenly cover flattened pork loin with prepared Cajun Dirty Rice, andouille sausage and collard greens, then tightly roll it jellyroll-style so that the loin returns to its original shape. Tie with butcher’s twine to keep the filling inside and to cook evenly. Rub outside of meat with olive oil, then season with salt and pepper. Place on a baking sheet and bake until internal temperature reaches 155°F, about 1 hour. Increase heat to 500°F and cook for an additional 5 minutes, until exterior is crispy and browned. Super easy, light, tasty, and it will make all your dreams come true. 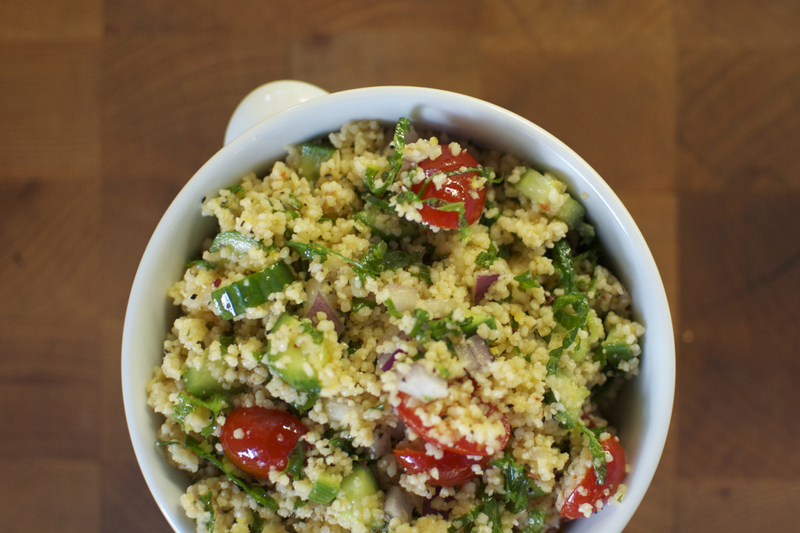 If you can’t find Couscous, click on the link and you can get it shipped right to your door! Combine garlic, lemon juice and zest, crushed chile, mint, salt and pepper in a large bowl. Slowly whisk in olive oil until evenly incorporated. Separate Couscous by rubbing between your hands, and add to bowl along with remaining ingredients. Let sit for 30 minutes before serving, and garnish each serving with a fresh mint sprig. Here is a recipe I created using an already seasoned Porcini Risotto from D’allesandro. It’s very simple to make, and you only need water or broth, and about 20 minutes to cook. It comes out nice and creamy without having to add extra cream or cheese. If you want to give it a try, you can buy it right here! Cook Funghi Porcini Risotto according to package instructions. Pat the scallops on both sides with paper towel, then season with salt and pepper. Heat grapeseed oil in a cast iron skillet over high heat, then sear scallops on both sides until golden brown, about 1 minute per side. Do not overcook. Place on paper towel to drain excess oil. 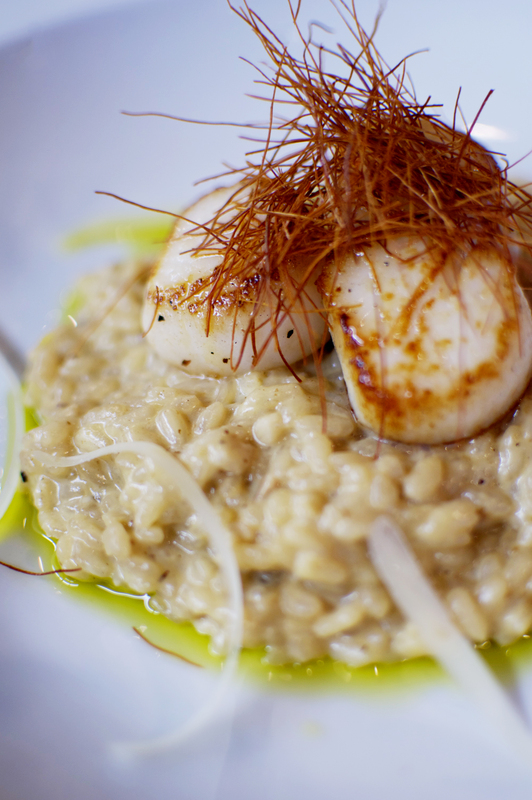 To serve, place some risotto on each plate and drizzle scallion oil or extra virgin olive oil around the plate. Sprinkle with shaved parmesan and place three scallops on each plate. Top with a pinch of chile threads and serve. Let me know if you make it at home and how it turns out! Cook Farro to the package instructions, then let cool to room temperature. Whisk vinegar, mustard, salt, black pepper, garlic, oregano, zest and red pepper flakes together in a large bowl. Continue whisking, and slowly add the olive oil until creamy and thoroughly mixed. 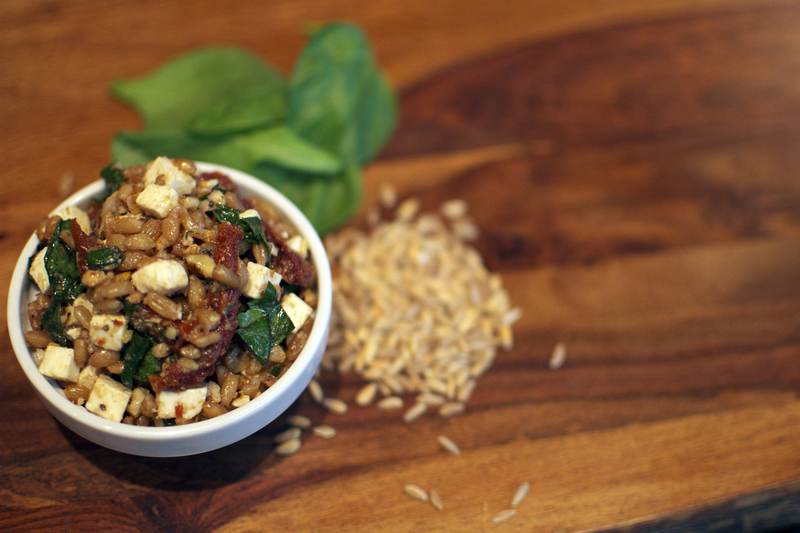 Add the Farro and remaining ingredients into the bowl, then toss until evenly coated. Refrigerate for 30 minutes before serving. Makes 4 to 6 servings.